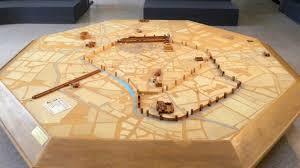 Milan, like many Italian cities, collects ancient finds in exhibition venues to be visited by tourists. 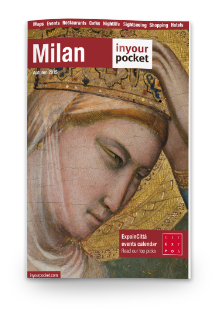 Thanks to MilanoCard, the Milan City Pass, you can visit all Milan civic museums at only 10 €. Click here and find out more. In this article you will discover some curiosities and the history of the Milan Archaeological Museum. The Milan Archaeological Museum is housed in the former Monastery of St. Maurice, where the Greek, Etruscan, Roman, Barbarian and Gandhara sections are located. The Prehistoric and Egyptian section is hosted by Scorza Castle (the Castle is part of Milan civic museums, get a discount thanks to Milan City Pass! Click here). The first archaeological museum in Milan was founded by the Royal Decree of November 13, 1862 by the Minister of Education Carlo Matteucci. The idea of ​​an archaeological museum in Milan was born earlier thanks to the painter Giuseppe Bossi who had been collecting some of the finds scattered in various places in the city since 1799 and had brought them to and kept them in the church of Brera. In 1858, the City of Milan set up a commission for the creation of a true museum. In 1862 the Patriarch of Archeology was established in Brera. To reach the Milan Archaeological Museum, you can take red Milan metro and get off at Cadorna stop. Get free Milan public transport thanks to MilanoCard, the Milan City Pass. thanks to this card, you can travel for free all around the city. Click here and find how to get it. with the ancient Mediolanum. In the Roman section are preserved numerous sculptural portraits, painting, mosaics, epigraphs, pottery, a glass cup such as the diatreta trivulzia and argenteria like the patera of Parabiago.